Dealing with stress, comforting a crying baby, and managing difficult behaviour without smacking. These are just some of the topics covered in a series of advice leaflets prepared by the NSPCC. Each leaflet contains useful tips on common parenting problems and gives contact details of organisations that can help. The A–Z of Child Health offers factsheets featuring in-depth information and advice from Great Ormond Street hospital’s team of experts and other UK specialists. 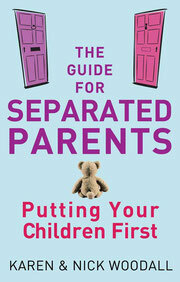 There are also some great sections on parenting issues at different stages in your child's development. Parenting advice to help tune up your child’s listening skills, listen the first time, boost your communication style, and your relationship. The NHS have created a series of videos covering a range of parenting issues from children's heath and well being to behaviour and development. *CSF is not responsible for the content of external websites.